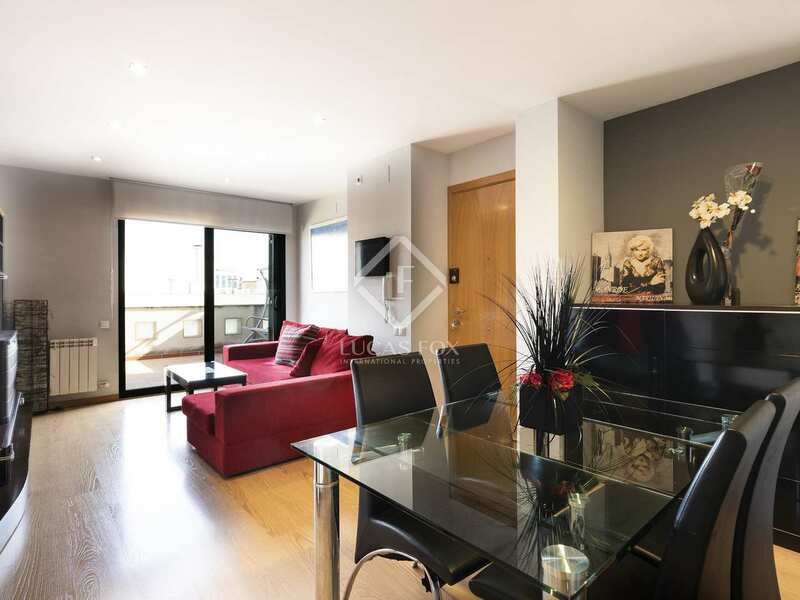 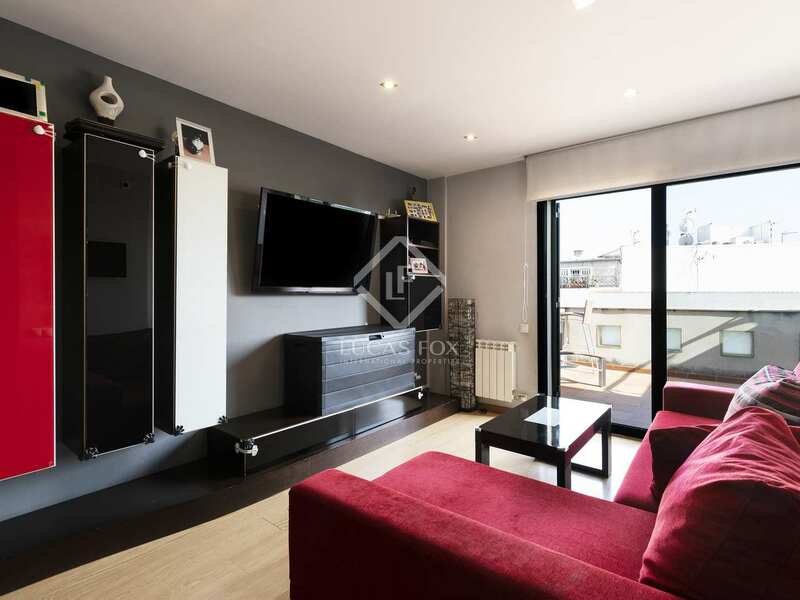 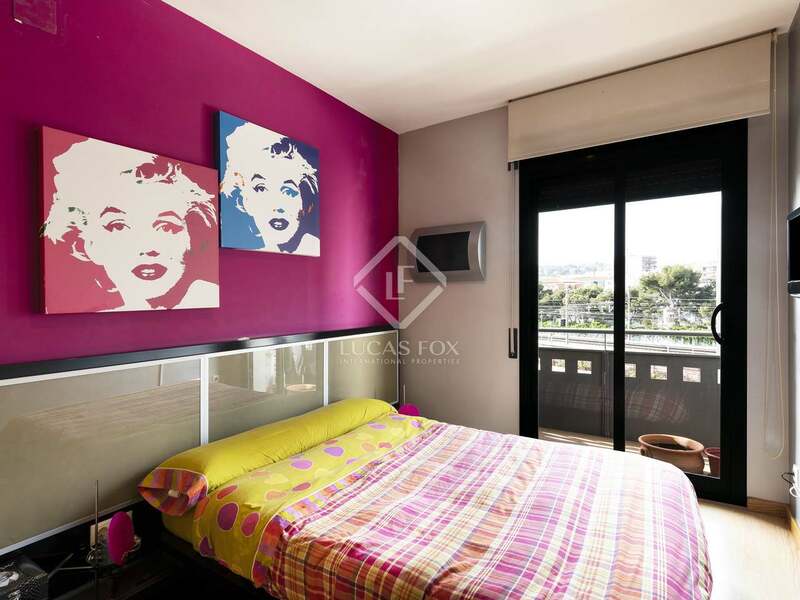 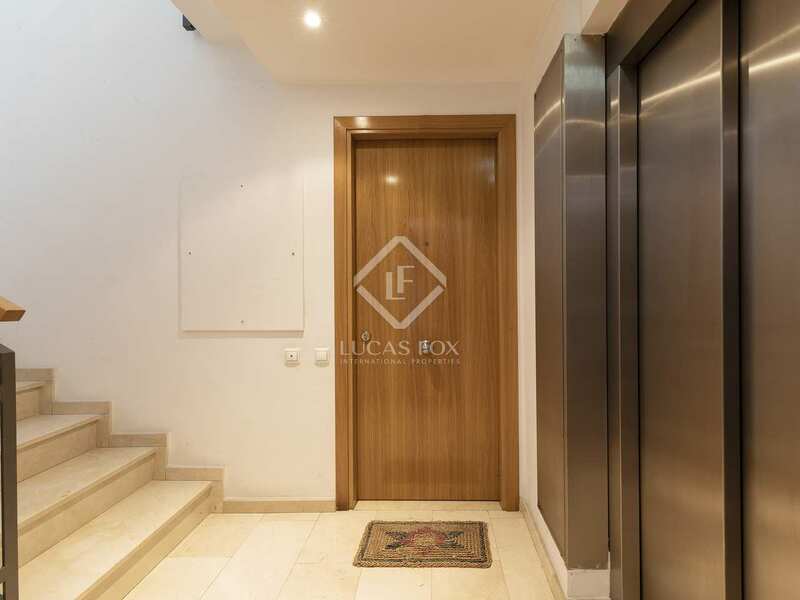 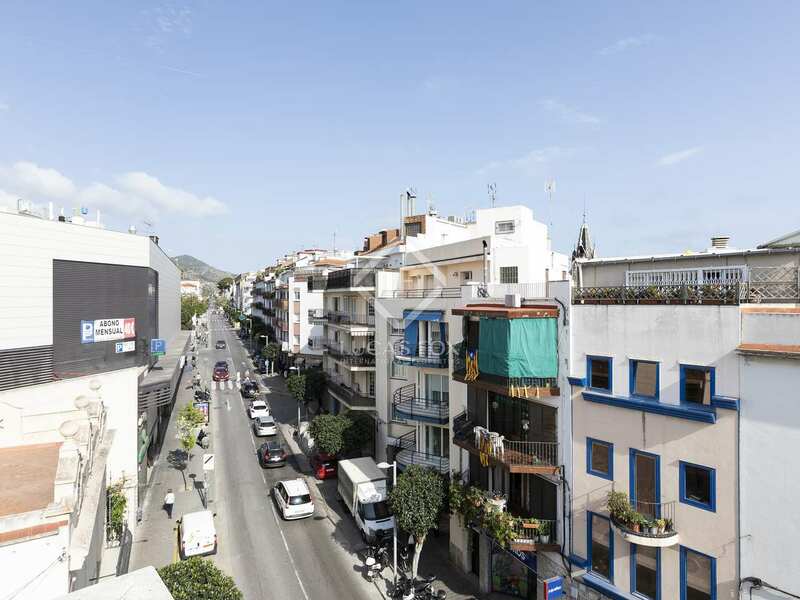 Exellent penthouse for sale in Sitges centre, situated within a building with a lift, just 1 minute on foot from the train station and close to the beach and a great selections of shops, restaurants and other day-to-day services. Built in 2008 and recently renovated with high quality materials, the property is presented in perfect, move-in condition. 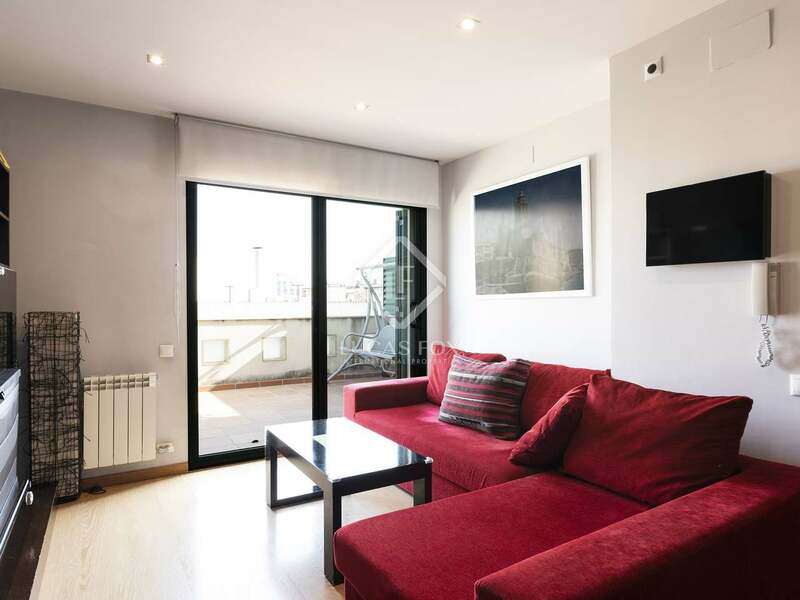 On entering we find a pleasant living room – dining room which leads to the sunny 17 m² terrace. 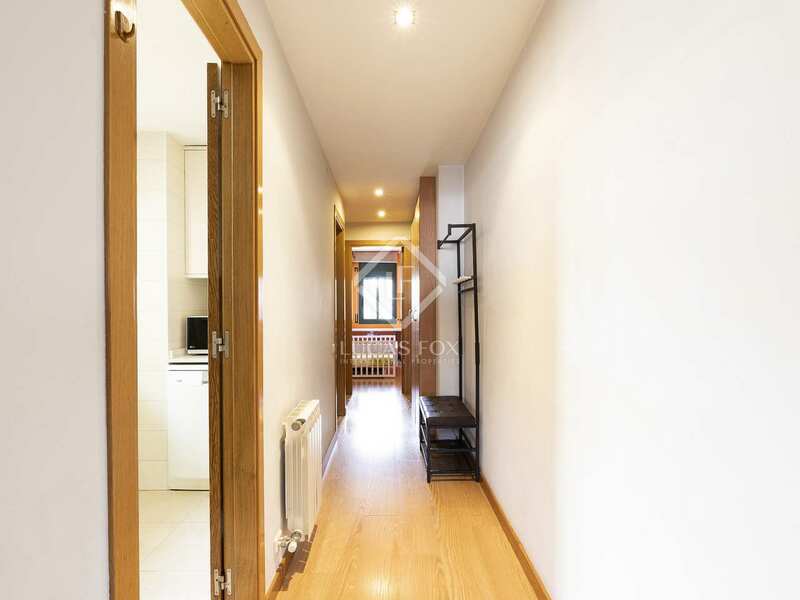 On the left of the hallway there is the kitchen, followed by a bathroom, a bedroom and the master bedroom with its ensuite bathroom. 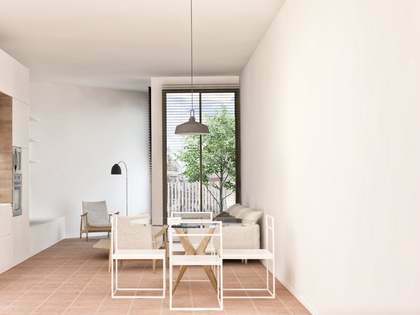 The fabulous 50 m² solarium has to be accessed from outside of the apartment but there is the possibility to build stairs from the lower terrace to access it directly. 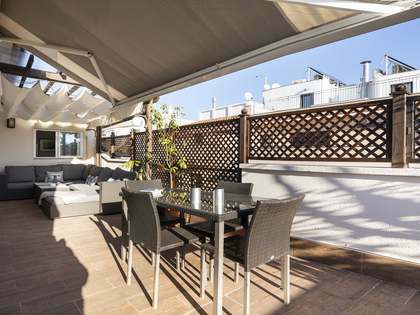 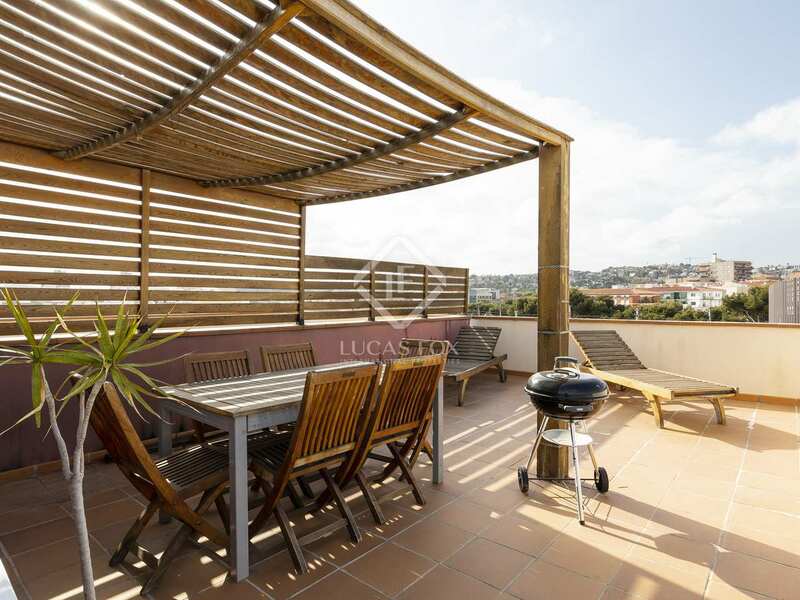 Here we can sunbathe, have a barbecue and relax under the wonderful pergola; all with great views over Sitges town centre and out to sea. 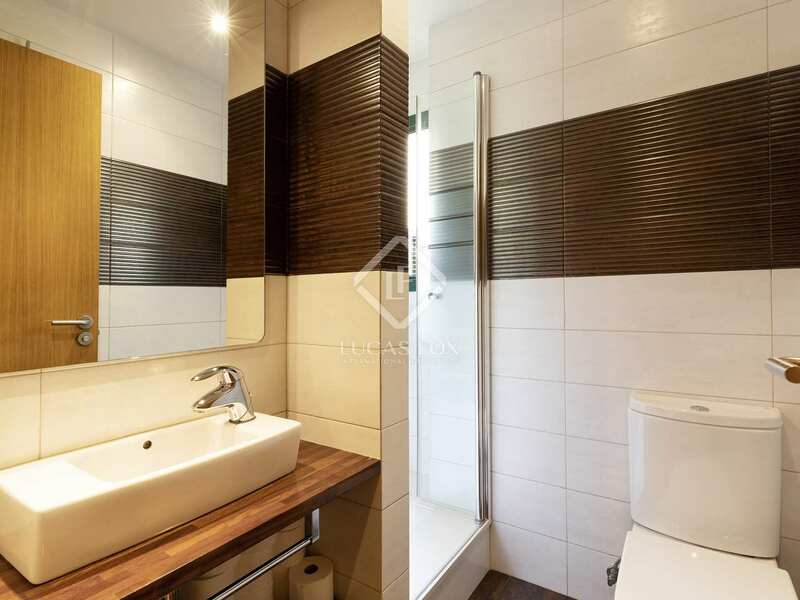 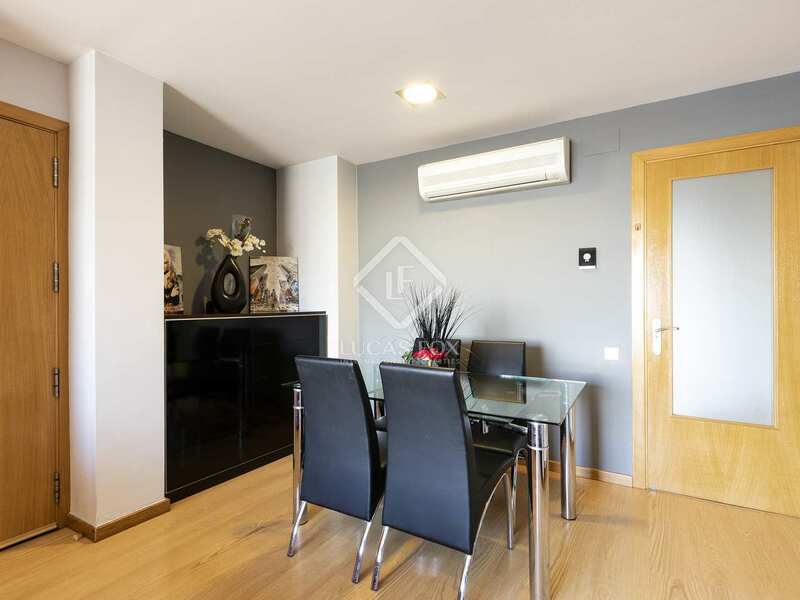 Additional features of this wonderful home include the Bosch boiler which is one of the best on the market and helps to reduce bills, as well as the home automation system by which you may control the heating remotely. 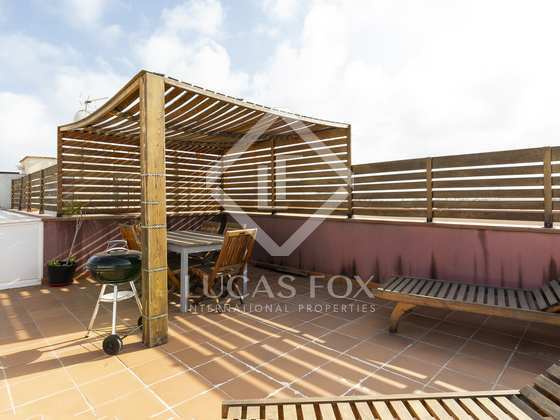 This property is ideal as a permanent residence or second home by the sea as well as an excellent summer rental investment opportunity given the prime location. 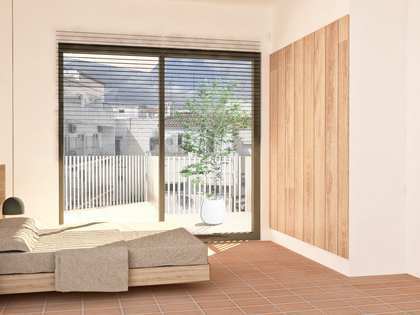 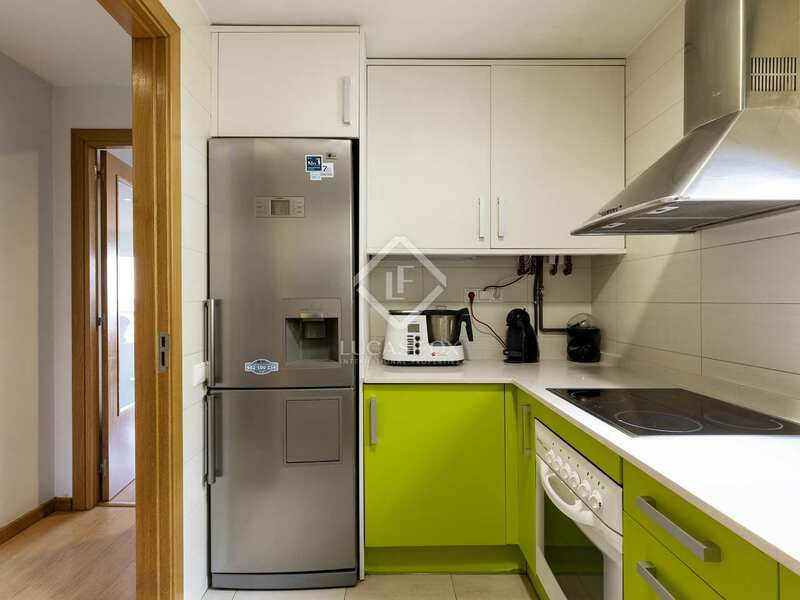 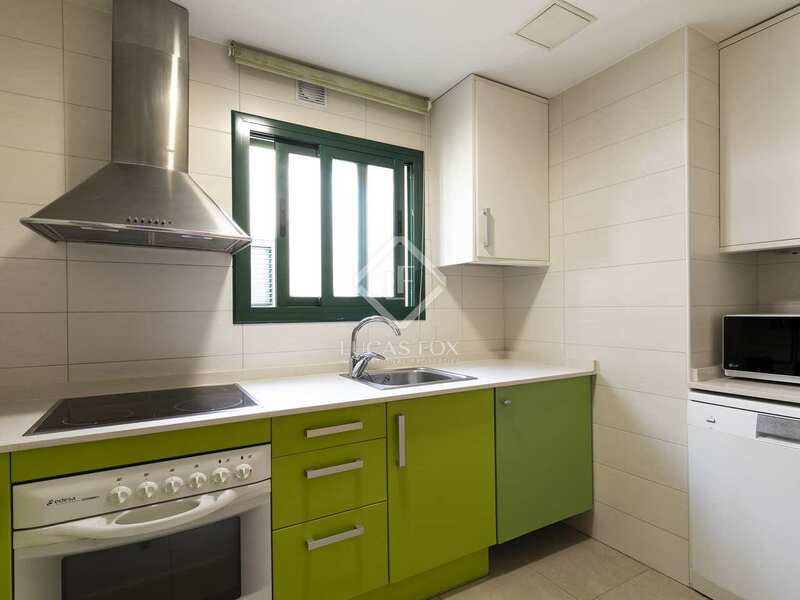 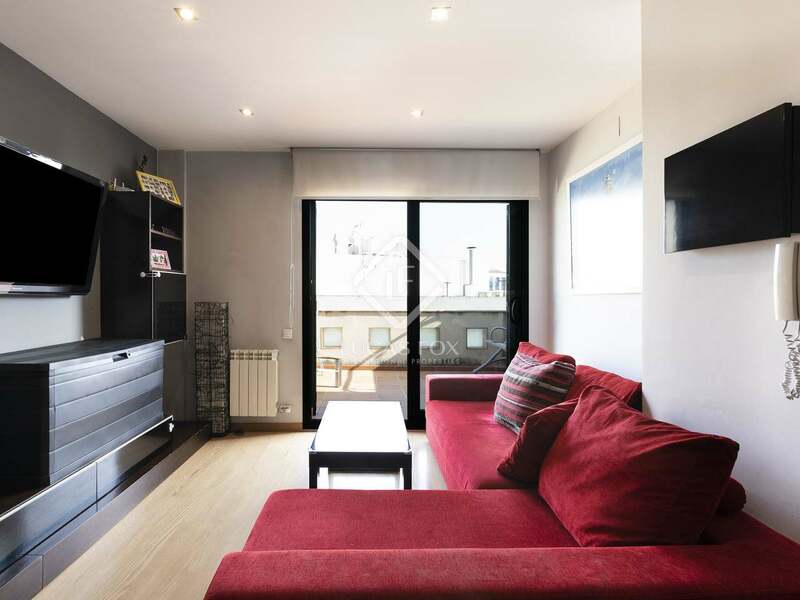 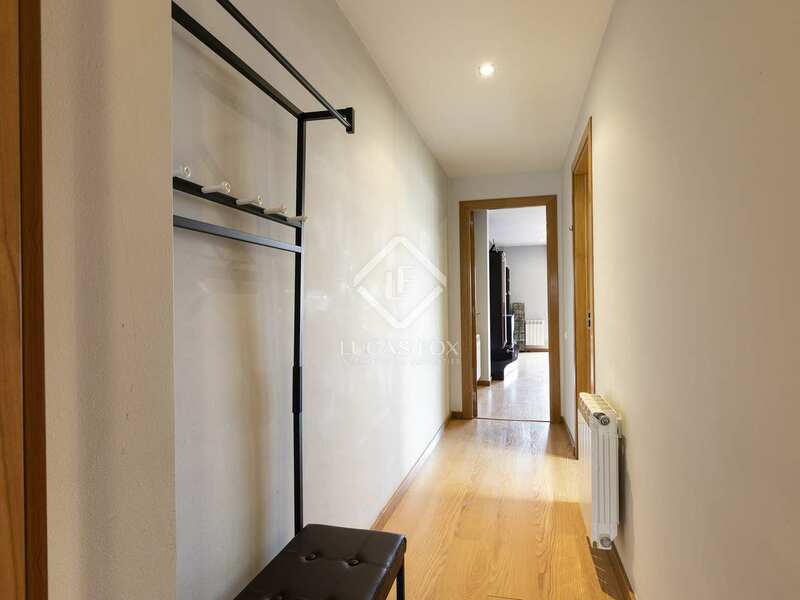 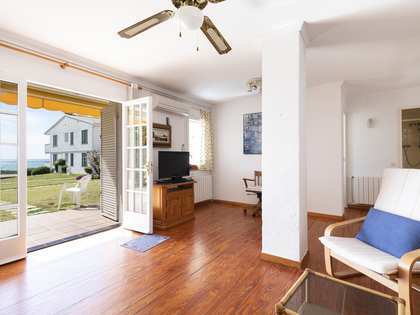 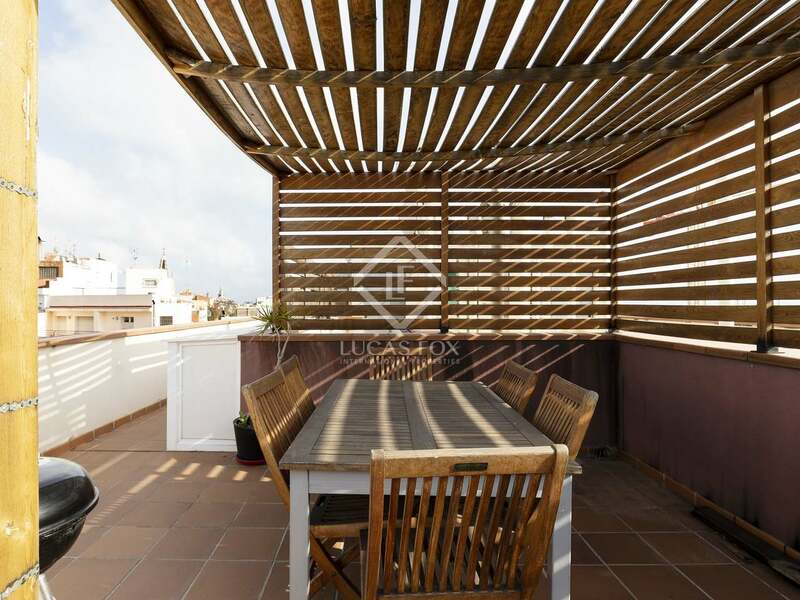 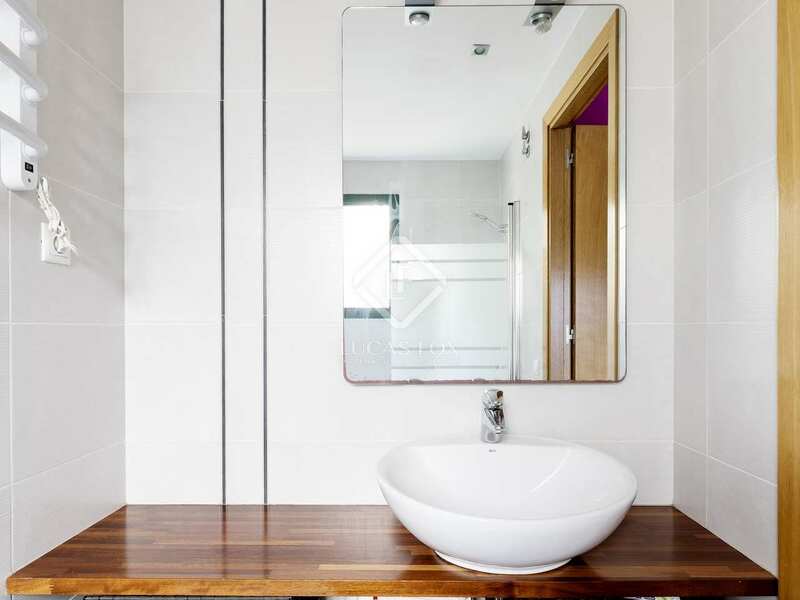 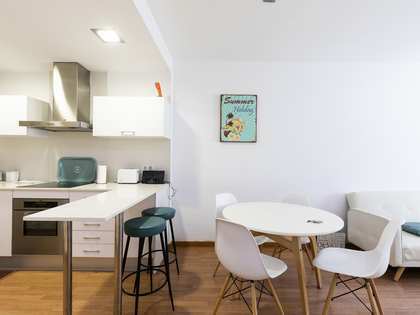 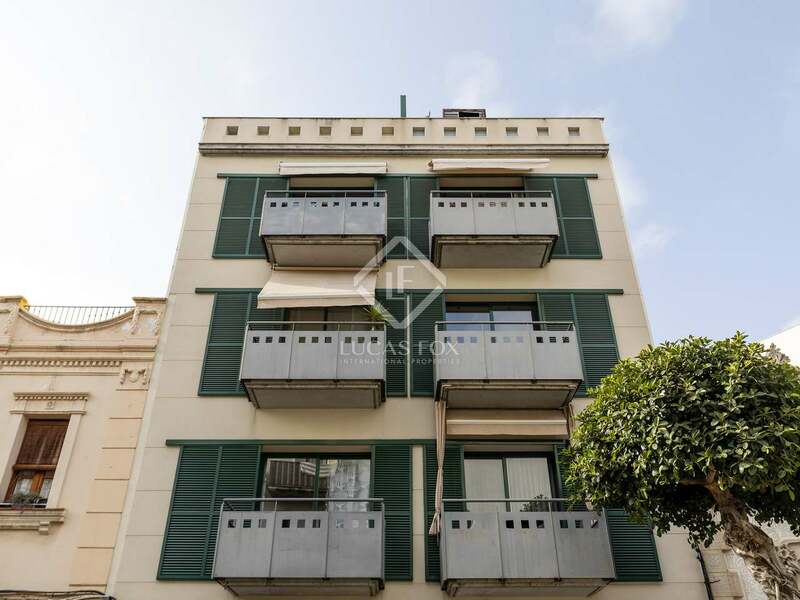 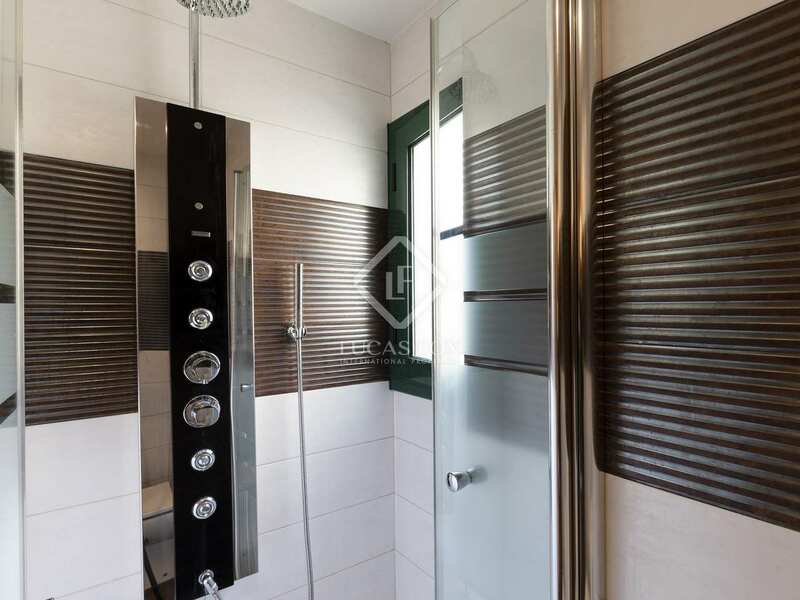 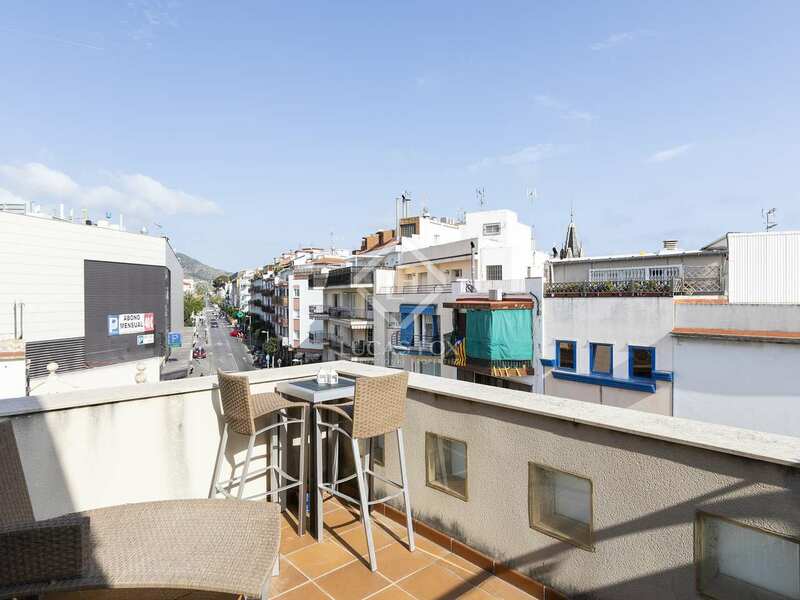 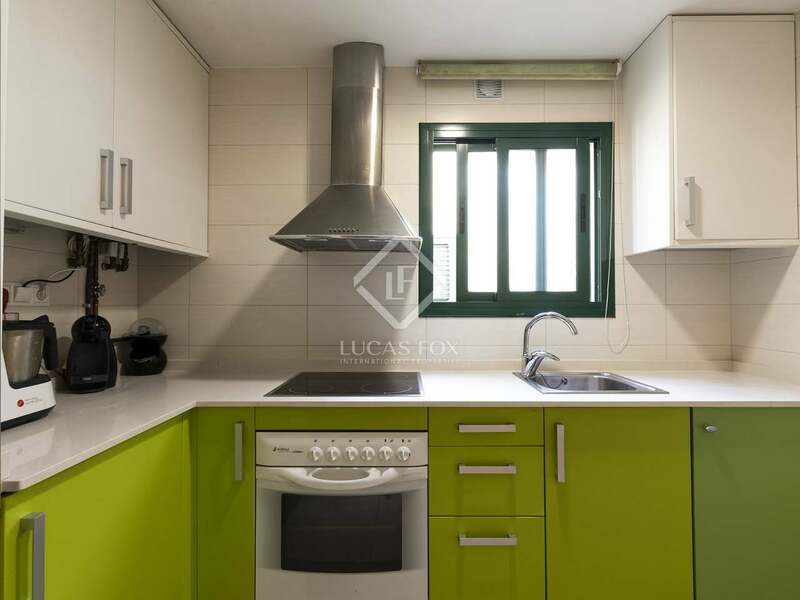 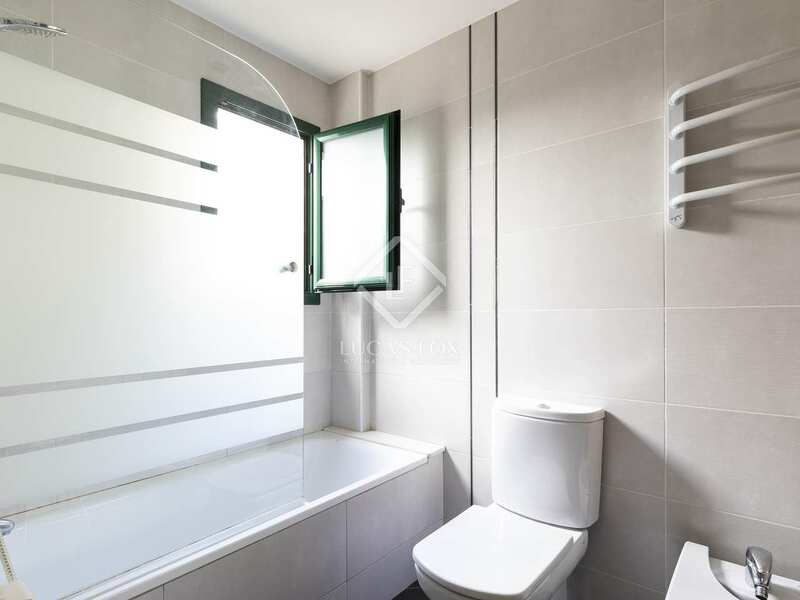 This property is located in the centre of the vibrant coastal town of Sitges, just a 1-minute walk to the train station, near shops, restaurants, markets, etc.